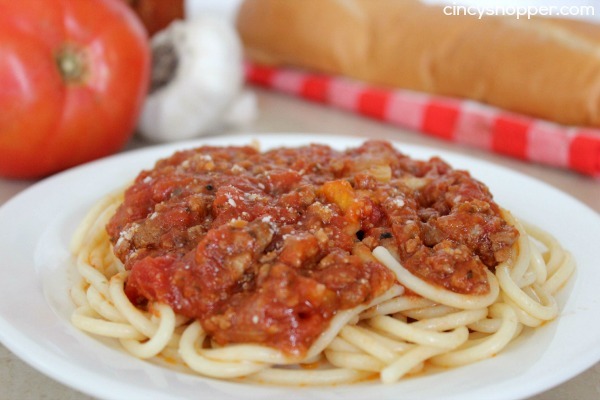 If you love to make up a big batch of Spaghetti Sauce you will love this Slow Cooker Spaghetti Sauce Recipe. 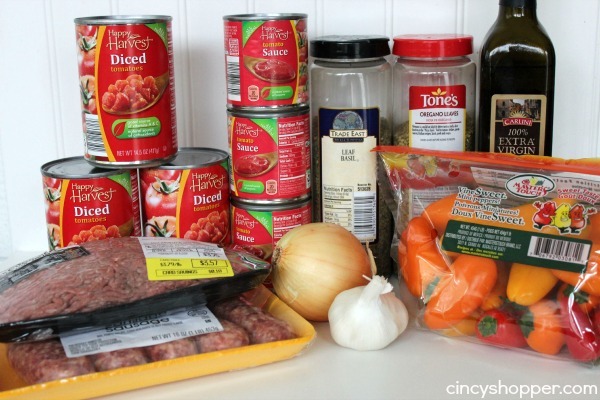 We love making a big Italian dinner during the fall and winter months. We usually just make our sauce on the stove top but this past weekend we were needing to run some errands so cooking our dinner in the Crock-Pot seemed perfect. My hubby prepped everything up and tossed it all in to the slow cooker and we went about our afternoon. PERFECT! Plus he made quite a bit so we could have leftovers. YUM! 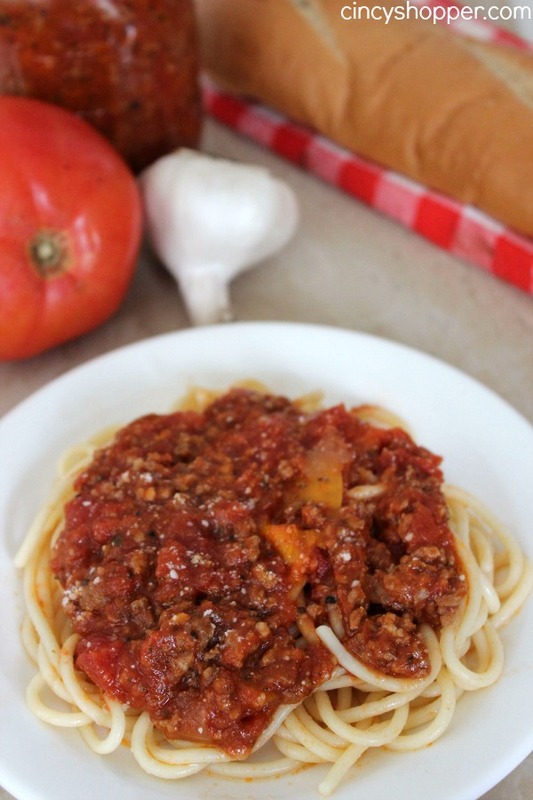 I am a HUGE fan of sausage and the hubby loves ground beef in his spaghetti sauce. 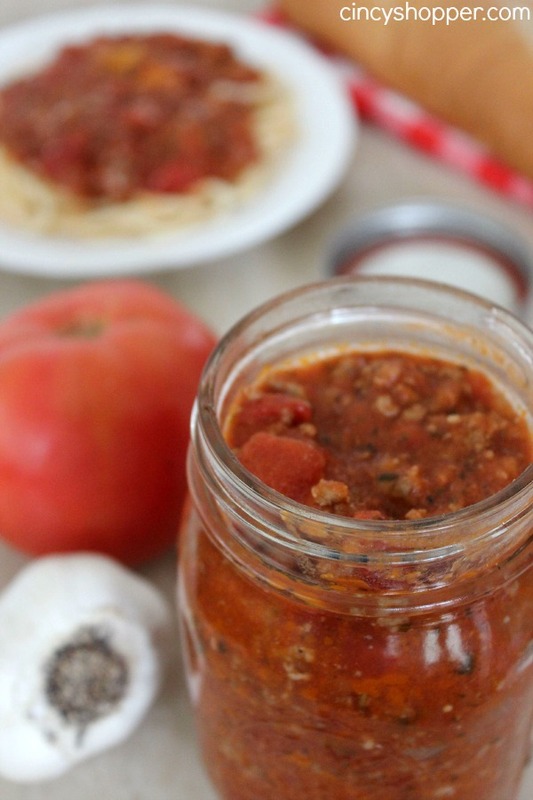 He surprised me and added both to this Slow Cooker Spaghetti Sauce Recipe. In the past we made a Slow Cooker Pasta Bake that turned out great so I knew the flavors would cook in when making in the slow cooker. 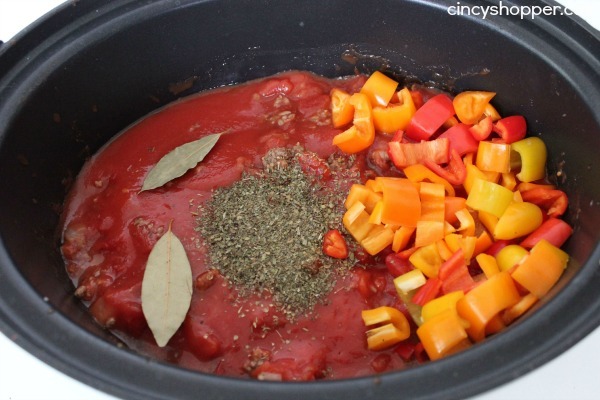 Since he cooked the sauce in the slow cooker all the Italian flavors and more time to cook into the meat. Absolutely tasty! I think we will be cooking our sauces in the Crock-Pot more often. I whipped up a family garden salad for our side and some store bought bread. If I would have known ahead of time I would have made some Slow Cooker Basic Bread as well. The ingredients are so simple! 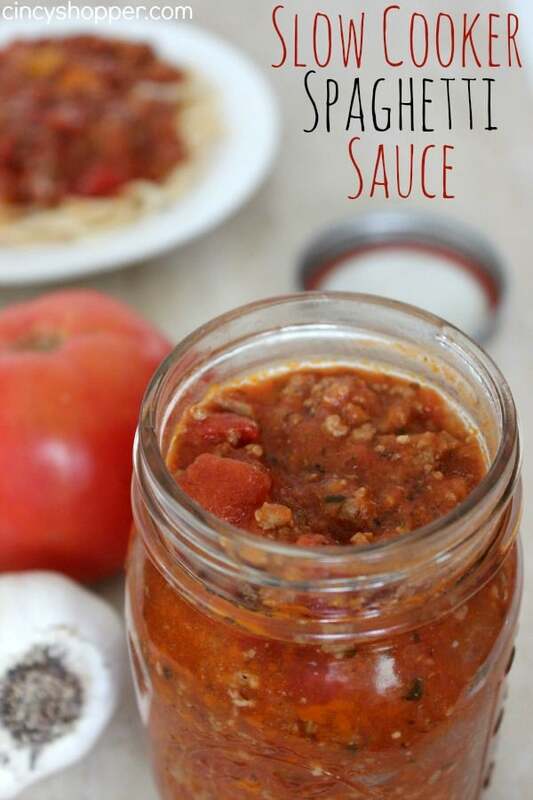 Creating your own sauce at home makes everything more tasty! 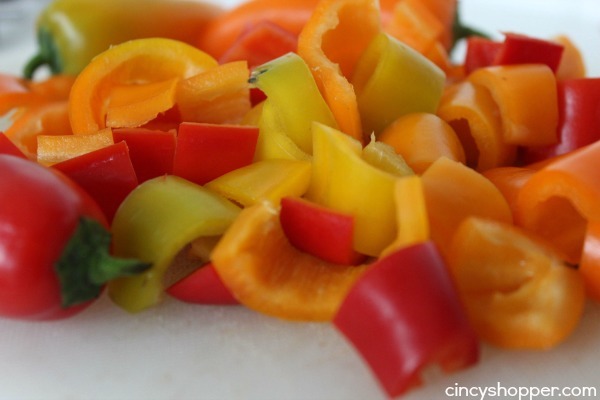 Plus adding in fresh onion, garlic and peppers makes your sauce extra tasty! Heat olive oil in a large skillet over medium. 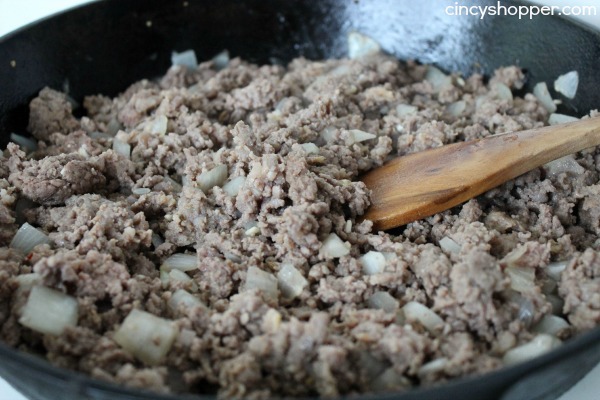 Crumble and brown ground beef and sausage, along with onion and garlic. 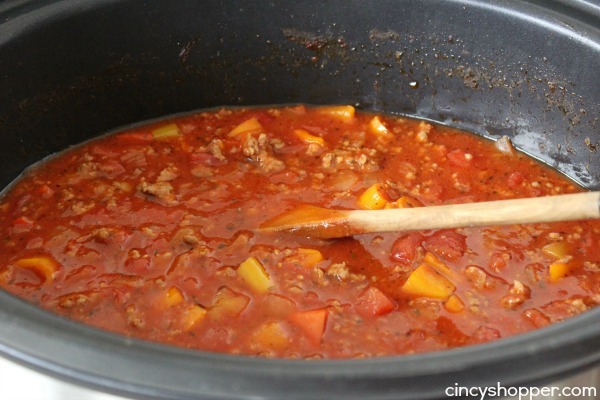 Place meat mixture into slow cooker. can this be canned after cooking?? How can you can this?